Royal Sedan and Limousine has been striving to provide affordable and professional limousine service in Baltimore, MD. 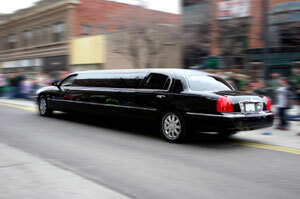 We offer Baltimore Limousine Service to provide wide array of services to match all kinds of traveling needs in style. Our services include but not limited to BWI airport shuttles and Dulles airport shuttles in Baltimore, MD. We are also specialized in providing luxurious transportation to hotels and seminars. The best part of our services is that we remain 24 hours a day to match your requirements. You can spend your spare time with your friends and family members in one of our Royal Sedans. Whether it is a matter of party or wedding, Royal Sedan will be your ultimate place of comfort. We are glad to inform that we offer various discounts on transportation services. Our team consists of experienced and knowledgeable chauffeurs who are committed to meet and exceed the expectations of customers. They offer in time pickup and drop off to their customers. They give great emphasis to retain every customer by providing supreme customer services. You can choose your preferred transportation from our rich fleet that consists of latest makes and models, Baltimore Limousine Service.